The all-new Nautique Configurable Running Surface (NCRS) fine-tunes the hull surface under any condition using the latest technology in our Nautique LINC system. With over 2,800 lbs. of sub-floor internal ballast, the G23 offers you maximum ballast with maximum storage and a world class wake without the need for additional weight. Every inch of this hull was designed to create a wake that will work for every level of riding, at any speed and line length. This allows you to set the boat up to the preferences of every rider in the boat without sacrificing a clean lip, long transitions, and solid pop. The cutting-edge design doesn’t stop at the water line. The styling and craftsmanship that has gone into designing the interior of this boat is like nothing that has come before it. From the ergonomics of the seats to the functionality of the seating configurations, no stone was left unturned in designing every aspect of the fit and finish. For more on the Super Air Nautique G23 wakeboard boat checkout the Nautique website here. Also, check out the video below. 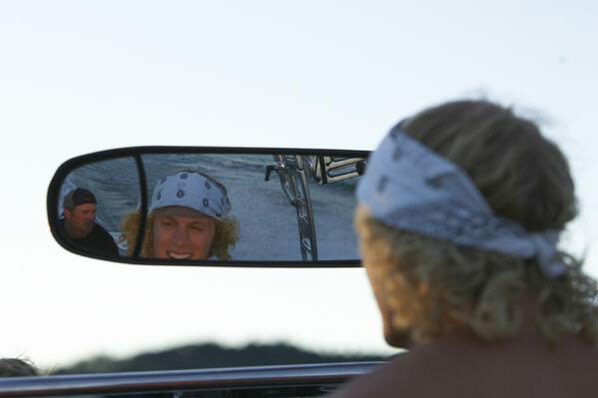 Tige Boats is stepping up with a revolutionary new contest format and a great idea that promotes the sport of wake. The MyWake Global Challenge is a pretty rad idea and we think it will produce some cool submissions. Check out the video for the details…as well as the official press release below. Orlando, Fla. — Go big then go virtual: that’s how riders from around the world can earn an invite to the most progressive contest on the water, the Tigé MyWake Global Challenge. The revolutionary MyWake contest will take qualifiers to a whole new level by allowing competitors to submit their qualifying run online via video for a chance to advance to a live two-day final competition. The 2012 Tigé MyWake Global Challenge will host the live finals event on Sept. 10-11 at Buena Vista Watersports in Orlando, Fla. The Live Finale will bring together top professional riders from pro divisions of the three sports in a pro-am style contest to battle for the top podium spot behind the new and innovative Tigé Z3. Beginning May 1, riders can enter the unique event by submitting a two-minute unedited video of their best run to Tige.com or to the event site MyWake.com. Judges from the World Wakeboard Association (WWA) will review the submissions and select monthly winners through the end of July. Monthly winners will be invited to the live final event in Orlando. For more information about the Tigé MyWake Global Challenge, including rules, regulations and entry, visit MyWake.com. Tigé Boats is an independent, design-driven company, celebrating 20-years of uncompromising boat design. Tigé produces a unique product line ranging from 20 to 24 feet in length, supporting a dealer network serving 14 countries, including United States and Canada. Want more Tigé? Get your fix at Tige.com. The Northwest Riders 2008 Malibu vRide is up for sale. This boat is in excellent shape and has been maintained beyond expectations. You can check out all the info…just click and read on. DEFY: The Danny Harf Project will be premiering in Seattle on Saturday, December 10. Get your tickets early! Our good friend Sean Kilgus (BFY Productions) has been pouring plenty of hard work into his new film “DEFY - The Danny Harf Project” and this new trailer is a nice little taste of what you can expect. We are proud of you Sean…can’t wait to see the finished work! Year two is here for the Northwest Riders Wake Series! The 2nd annual event is set for Friday-Saturday-Sunday, August 12-13-14 in Monroe, WA. As it was last year…the entire series will be held on Lake Tye north of Seattle, WA. The venue has perfect sight lines, ample space for driving and pulling riders, great retail including local shop Grizzly-Sports, restaurants including event participant Sockeye’s, a small skate park, a full walking path around the lake, plenty of parking, and is just a short drive from Seattle and the surrounding areas. If you are coming from Seattle, click here for directions. The double up comp will feature an exclusive list of semi-pro/pro riders from all over the northwest. Spectators will be able to watch from Sockeye’s restaurant at the north end of the lake. Sockeye’s has a wrap-around outdoor deck with seating and will also feature a special beer garden during the event for persons 21 and older. There will be plenty of space for families to view the event as well. Up for grabs will be $500 in prize money and bragging rights. Last season’s winner Robby Carter will be back to defend his title against a skilled set of riders. *This year we kick off at 5:00 PM. Riders will be eliminated until we have a champion. The wakeboarding comp will feature riders of all-ages and varying skill levels. The event will be towed by two MasterCraft boats with each set up according to the division and riding level of the participants. Entrants will be able to ride in a safe environment and fees will be minimal so that all that want to ride get the chance to. A $30 fee will get each rider a 4-minute set behind the boat along with an event T-Shirt. Northwest Riders Clothing Co. will be covering the insurance fee for all riders on Saturday. Riders will be broken into divisions and heats with judges determining who places based on set scoring methods. The divisions are: Novice, Intermediate, Womens, Advanced, Open. A $500 cash prize purse will be up for the Open division. Other divisions will receive prizes and giveaways for the top finishers in each classification. *Sign-Ups begin at 8:00 AM on Saturday. To pre-register call Greg at 425-220-0675 or Zack at 425-463-5553. SPACE IS LIMITED. 1st come 1st on the list until we run out of space. The final day of the weekend will be reserved for a Northwest Riders wakeboard clinic. This will be a much quieter, hands-on experience. Similar to past NWR clinics…this event will allow up to 15 people of all ages and abilities to come out on the boat for some one-on-one coaching. The times will be from 7am-9am, 9am-11pm, 12pm-2pm, 2pm-4pm and 4pm-6pm. Each time slot will take 3 people and a family member or friend out in the boat for coaching and learning anything from basic fundamentals to top tier wakeboarding tricks depending on the rider. *This portion of the event will be $100 per participant. To sign-up, please call Greg at 425-220-0675. Times fill up very fast, so please call soon if you are interested. Daren Postforoosh and Mastercraft Northwest/Seattle, Wade Wagley and Slingshot Wakeboards, John Thorburn and the Northwest Marine Trade Association (NMTA), RV Palmer, Mike, Micah and Grizzly-Sports, the Seattle Boat Show, Nick Aiken at Red Bull, Ryan Brien and The Rock Church, Mike and Ryan at Sockeye’s, Robert King at NW Quality Remodel & Deck, Rhys Logan, Papa Yip Yip from Charlie’s Chow, and Plobix from 7th Synapse Pluto. A very BIG thank you again goes to City of Monroe Mayor Robert Zimmerman, Denise Jacobsen, Mike Farrel, and the rest of the city staff that helped us along the way. Last year’s event was great and this year’s is stacking up to be even better! The Pro Wakeboard Tour (presented by Mastercraft) makes its long awaited return to the northwest this Friday through Saturday, July 8 and 9. The event will be held on Lake Tye in Monroe, WA in the same location where we held the first ever Northwest Riders Wake Series last season. Our buddy Nick Jones recently had a short interview over on AllianceWake.com and we wanted to share the link with our readers that have followed Nick from the early days of his career here on WBNW. If you could pick any place in the world too (sic) ride where would it be and why? Nick: On Lake Washington up in Seattle with my Dad, because thats where it all started for me and what made me become addicted to this sport. Always stoked to see Nick get some mainstream coverage. Nice work Jonesy…keep it up! Read on for the full interview link and some riding videos of Mr. Jones. 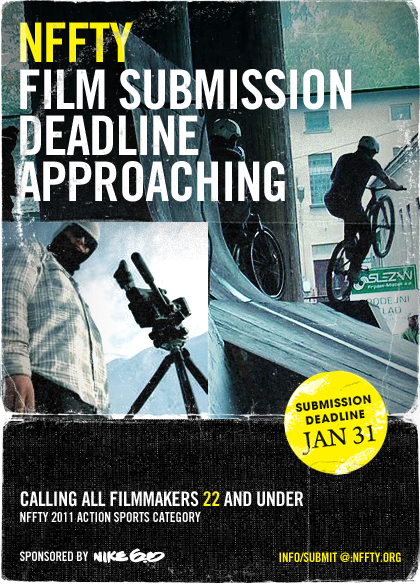 The ‘National Film Festival for Talented Youth’ (NFFTY) is looking for submissions from filmers for their Action Sports category. If you have a video that you want to get out there then this is a great place for exposure. Sponsored by Nike 6.0 … so you know it’s legit. The Seattle Boat Show, Indoors + Afloat, is the West Coast’s Largest Boat Show featuring more than 1,000 recreational watercraft, seminars and the latest accessories indoors at Qwest Field Event Center, plus afloat on South Lake Union. A free shuttle runs every day between Qwest Field Event Center and South Lake Union every 30 minutes.